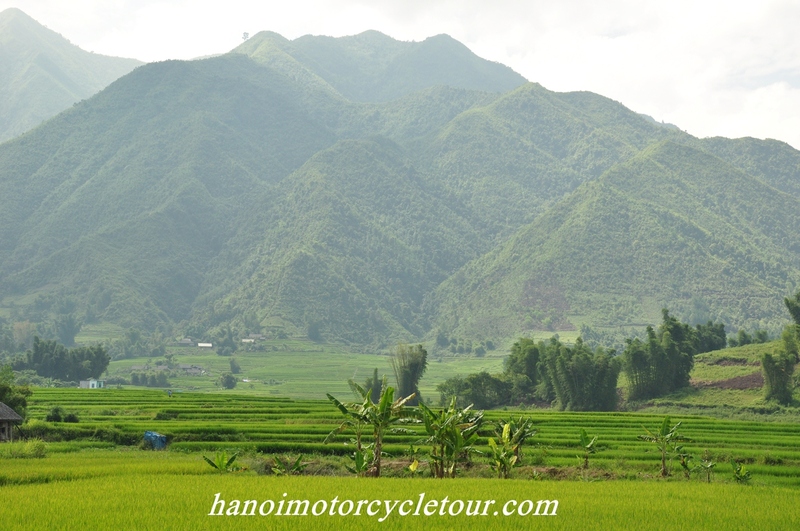 As you may know, many tourists wanna travel Vietnam by motorbike but they don’t dare to join a motorbike tour here because they did hear that traffic in Vietnam is crazy and traffic accident in Vietnam kills as many as in the war. Only in 9 days of Tet holiday this year – 2015, there are 536 traffic accidents with 317 deaths and 509 injuries. The daily average number of traffic accidents in Vietnam is 100 and the average death is 27. 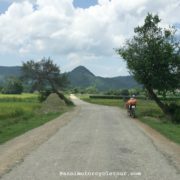 So what are the reasons for so many the accidents in Vietnam? 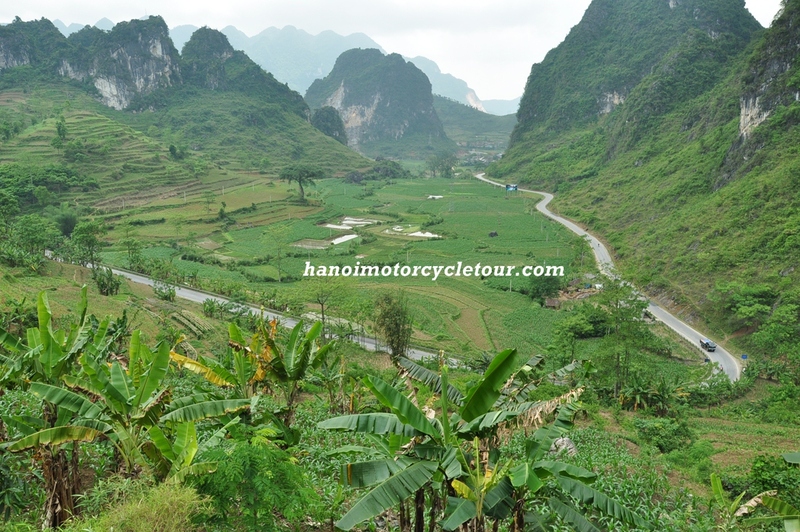 As you know, Vietnam is a country with high population density and of course the proportion of traffic is also high. Meanwhile, the infrastructure is not adequate. Narrow streets, sub-standard roads, degraded signs… are things that can easily cause accidents. The investment in infrastructure can not catch up with the speed of development. Fast population growth goes along with higher density of vehicles move around on the roads that are for less traffic. Bad traffic and inadequate infrastructure is only minor reason. People’s awareness is the main reason for the bad things that happen. In other words, the state of abiding laws of Vietnamese people is really low. Have you ever seen a bus that is supposed to be for 40 people carrying more than 110 passengers? And I haven’t mentioned the luggage. Well, that happens a lot in Vietnam. The intercity buses that carry far more than the real capacities are on the highways, on mountain passes every day. Can you imagine how dangerous is that? What will happen when they drift? Many transportation businesses marginalize the work of ensuring the traffic safety for their passengers. All what they care about is the profits. Besides, passengers themselves ignore their own safety when still getting on those buses when they see the “stuffing” situation of the buses. People only want to get to their places as fast as possible regardless of the annoyance and even the danger they will face. 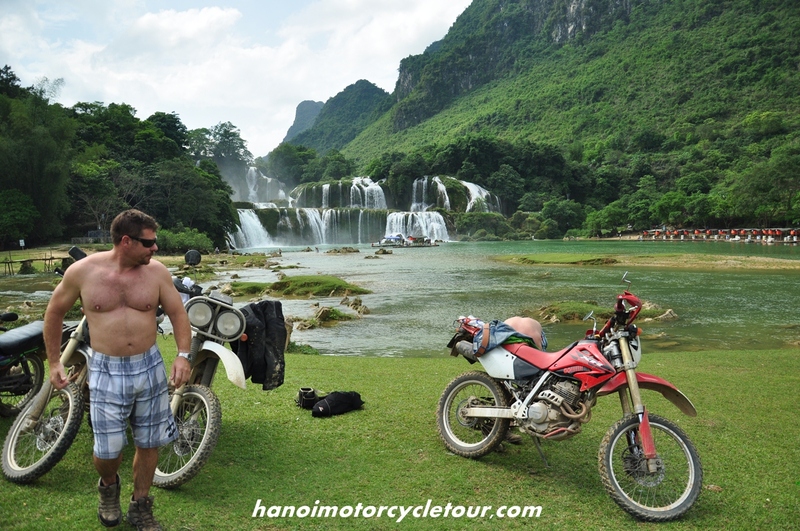 You probably already know that the most popular vehicle here in Vietnam is motorbikes. You can be surprised at the number of motorcycles participating in traffic everyday. 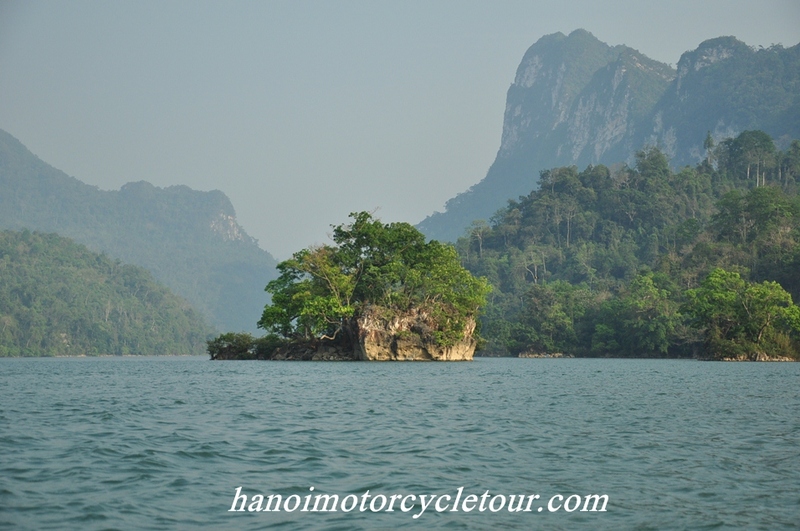 Motorbikes are personal vehicles, 2 wheels, small size, they can easily move around. Convenient? Yes. But some careless local people who ride the motorbikes make trouble. 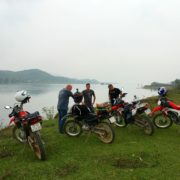 Because they can move easily, people go every where with their motorbikes. Small alleys, large roads, you can see them every where. That is not a problem until you can see motorbikes on lanes that are supposed to be for cars; until people ride motorbikes on sidewalks when there are traffic jams; until they do the sudden stops when they suddenly want to buy something on the streets. 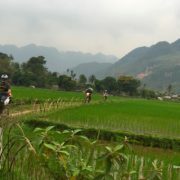 Vietnamese people ride motorbikes in a “funny” way, you may think. It is just not a safe way. There are a very high number of accidents happened when a car and a motorbike crash, when a motorbike hits people that walking. People ride motorcycles in zig zag shape, weaving into car lanes which eventually make cars go into motor lanes. 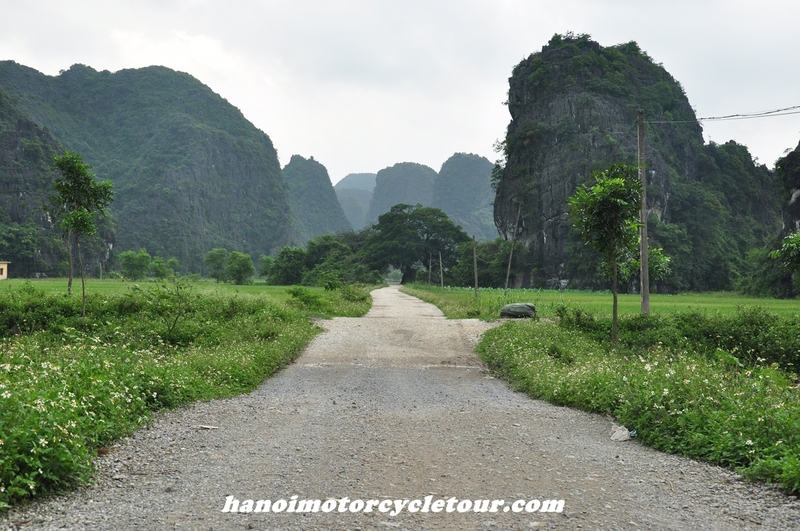 What a chaostic scene you can see on Vietnamese city roads. Besides from going in wrong lanes, people also use there personal vehicles to carry goods, but carrying too much goods on a one motorbike or car is one of the biggest problem here. Going on streets, you can easily find motorbikes that carry stuff that maybe five times bigger than the motorbikes. And of course, it is heavy. Driving is hard when you carry big stuff, and harder when it is heavy. People easily loose control, crash into other vehicles, or just fall down, but when the goods fall into the street, it may cause troubles for other vehicles if they can not shunt or do not have enough time to brake. “Men without alcohol are like flags without wind”. You can see from that how much Vietnamese men love drinking. They love to get high? Fine. But that popular personal preference does not get along really well with the fact that almost all Vietnamese people use their personal transportation on a frequent basis. Not only carrying heavy stuff and zigzag, there is another serious problem which is drunken drivers. Everyday, there are thousands of traffic collisions happen and many of them related to the alcohol content in driving. The drunk can not control the speed, can not stay focus and of course they loose balance. Can you imagine how dangerous it’s when driving. Now you may be worried for pedestrians. Oh, no need to. They are too familiar with the traffic here. And sometimes, they are the cause of the accidents. Like I said before, we need to be brave to cross the streets. Pedestrians here seem to have much bravery. They cross every where. Crowded streets, highways, vehicles moving fast? No problem. They still cross the streets whenever they feel like. Don’t you think we don’t have cross-over bridges. We do. But just that the pedestrian do not bother to use them. There have been so many accidents due to this fact. Driving over speed limits, carrying overweight or over-sized stuffs, being drunk while driving is one of many other law violations for the Vietnamese drivers. You may ask where are the police officers? they are supposed to keep people follow the rules. As the matter of fact, we have many of them on the streets, but on the other hand, literally, “on the other hand” they receive bribes. That is quite easy to do that here. Just need a few bucks and make up a convincing reason, they will let you get away with it easily. For the conclusion, let me jot it down, Inadequate infrastructure, poor traffic law compliance of people and lack of authorities control are the main reasons for the huge number of traffic accidents in Vietnam. 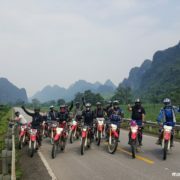 So, when you sign up for the “adventurous journey” which is so called traffic in Vietnam, be careful, obey the law, keep high concentration always watch out. Stay safe. 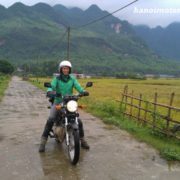 Finally, what are the solutions to have a great and safe motorbike trips in Vietnam? 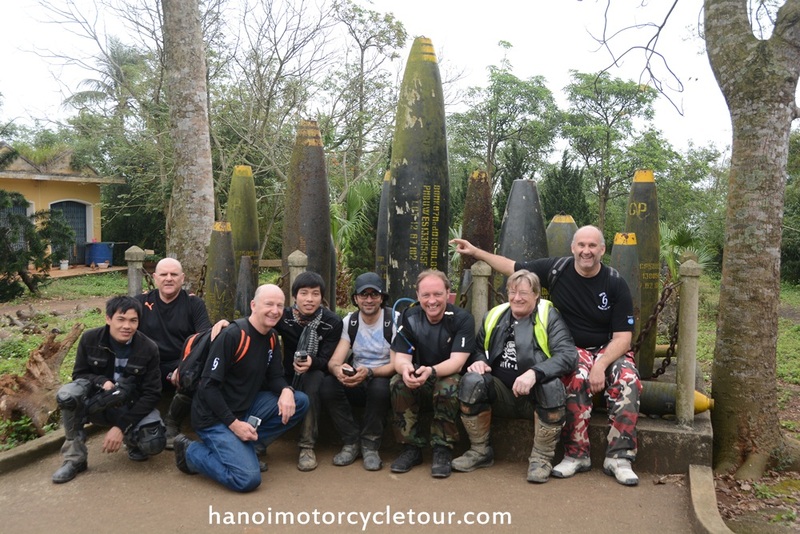 The Vietnam traffic has it own rules that only the local people knows so our recommendation on touring Vietnam by motorbikes is always taking guided motorcycle tours, the good local guides do not only know the local rules or the ways to have a safe ride but also know English to help you connecting with the local life and know the safe routes to ride on. The traffic accidents are almost happened in busy cities or highways; however, traveling Vietnam by motorbike with Vietnam Motorbike Tour Expert you’ll be offered all the well designed tours on almost quiet back-road, easy countryside roads or off-road to the remote areas where there is only you riding motorbike on the road. 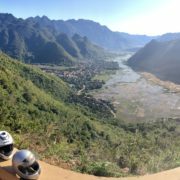 So choosing the reputable motorbike tour organizer to travel with is one of the ways to make your holiday safe!